Plus, I heartily recommend one of the blogs I check every day without fail, the one written by Mark Evanier called Newsfromme. It is a great mix of the junk in Mark’s head, politics, entertainment, old television, animation and other interesting miscellaneous stuff. 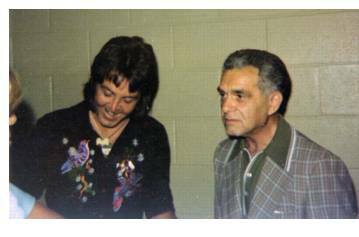 Paul McCartney with Jack Kirby in Los Angeles in 1976. • Photographs provided by Lisa Kirby. • Copyright © 2008 Jack Kirby Estate. “Brothers Steve and Gary Sherman arranged for Jack Kirby to meet the band (Wings) backstage, where Kirby presented McCartney with (a) pencil drawing. McCartney dedicated that night’s performance of the song (“Magneto and Titanium Man“) to Kirby, who, along with wife Roz, daughter Lisa and the Sherman brothers, were given complimentary nearly-front row tickets.” It was great to be King. 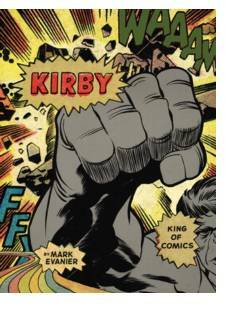 The Jack Kirby Museum & Research Center. Go there now. Go there often. And last but not least, I found a five-minute YouTube interview with Jack Kirby from a “long out-of-print” documentary. Your host, science fiction author and comic aficionado Harlan Ellison. It is richly illustrated and well-worth your time. More than anything, it is just great to hear Jack’s voice and see his face and listen to him talk about his work. And to round out your visit to FUNNY BOOK FANATIC today, be sure to check out the new entry on our MEMORY LANE page, which specializes in oddities and other curious items. Great post, Dwo! Love the blog.